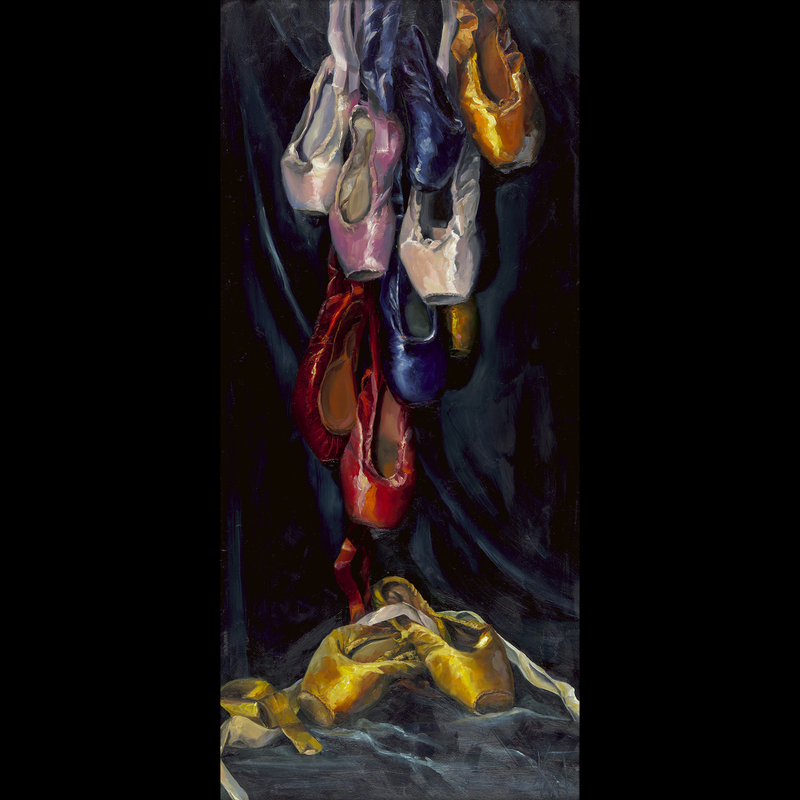 Although I went to art school in the 70’s (Tyler School of Art, Temple University, Philadelphia, PA), I left art to become a dancer and teacher. In 1990, I took a continuing studies course at the Maryland Institute and rediscovered my love for “pushing paint around”. Creating artworks that invite people to enter and look around is both my urge and inspiration. 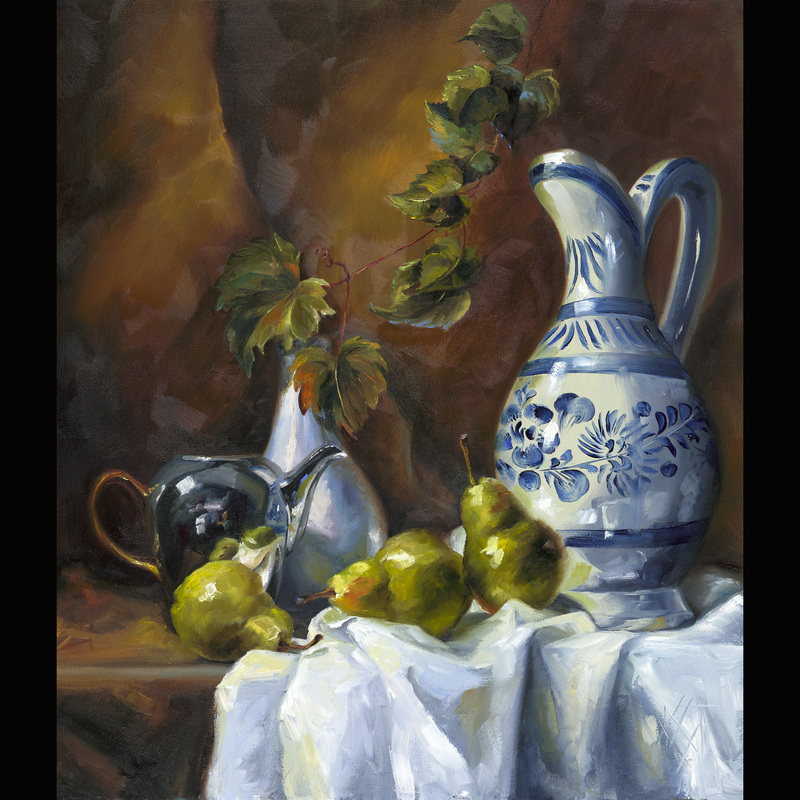 Still life showcases every technical aspect of painting in additional to being beautiful. 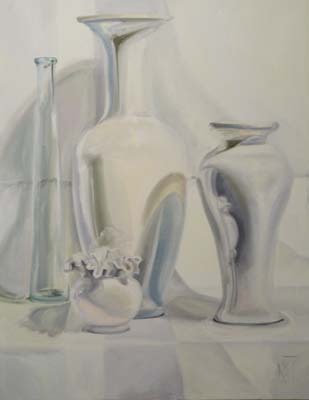 I enjoy painting glass for the high luster and reflected lights and fabric for the softness and variety of color. Fruit and vegetables are accessible images and add bright colors for an emotional content. Still life is like a stage set: the objects are as characters. There is stillness and movement, the play of light and shade, lyric story telling, color and music. As a personal statement, I think everyone should have real art in their lives. Art is inclusive not exclusive. 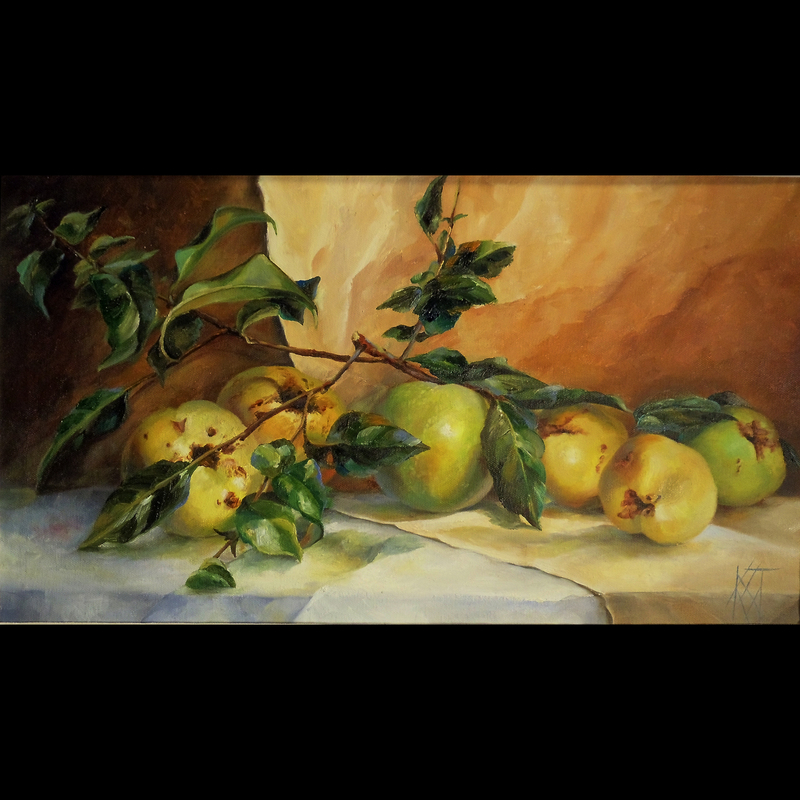 Description of work: I work exclusively in oils on canvas and board. 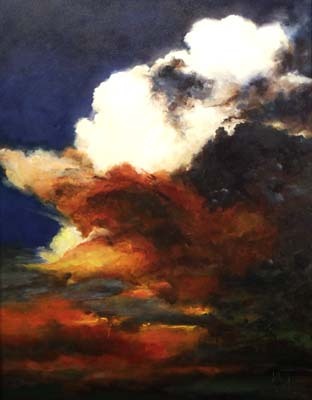 I have several areas of interest that I work on simultaneously: traditional, still life, sky and landscapes, contemporary still life, and my new area, figure painting. Every new area or painting is a discovery.